Best way to enjoy yourself in Yogyakarta. What are the best things to do in Yogyakarta? Yogyakarta has known as one of the famous tourism destinations in Indonesia. There are many reasons why Yogyakarta becomes famous among tourists, both local and international. If you want to have a pleasant holiday and memorable in Central Java, then Yogyakarta is the perfect choice for you. Yogyakarta offers many tourism destinations with a gorgeous view, relaxing places for you, moreover, you can bring your friends here! Hunt some photo spots, go the hiking, and visit Yogyakarta tourism destinations along with your friends, are definitely the right choice. if you don’t know much about tourism destination for your friend or yourself, here we present our 6 best Things to do in Yogyakarta for Teens. 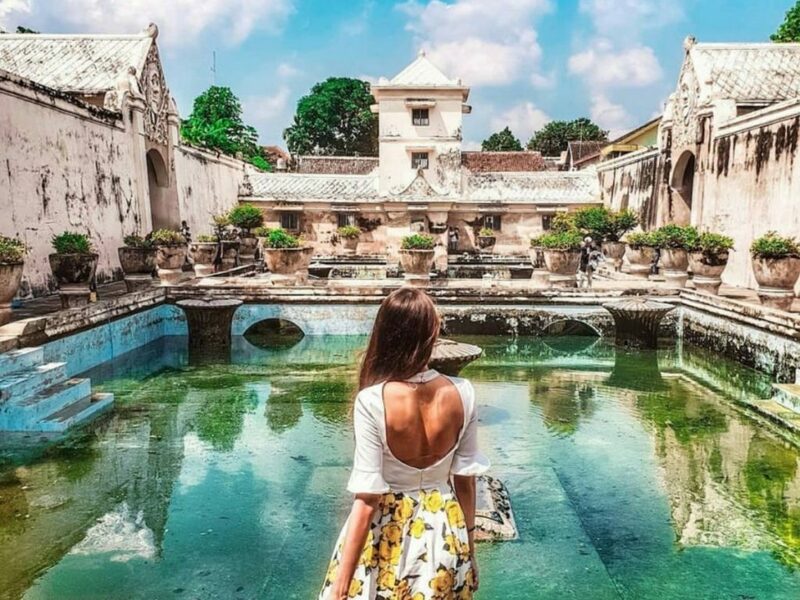 Taman Sari water castle is one of the cultural landmarks and heritage in Yogyakarta, also known as the former Royal Garden of the Sultanate Yogyakarta. Its located around/about 2 km in the southern of Keraton Yogyakarta. Its located around/about 2 km in the southern of Keraton Yogyakarta. Its located around/about 2 km in the southern of Keraton Yogyakarta. Yogyakarta City Tour is your best choice if you want to visit Taman Sari water castle, and make lots of unforgettable experiences. Furthermore, you can observe the best photo spot with the sunlight ray that hits the ground as your aide. 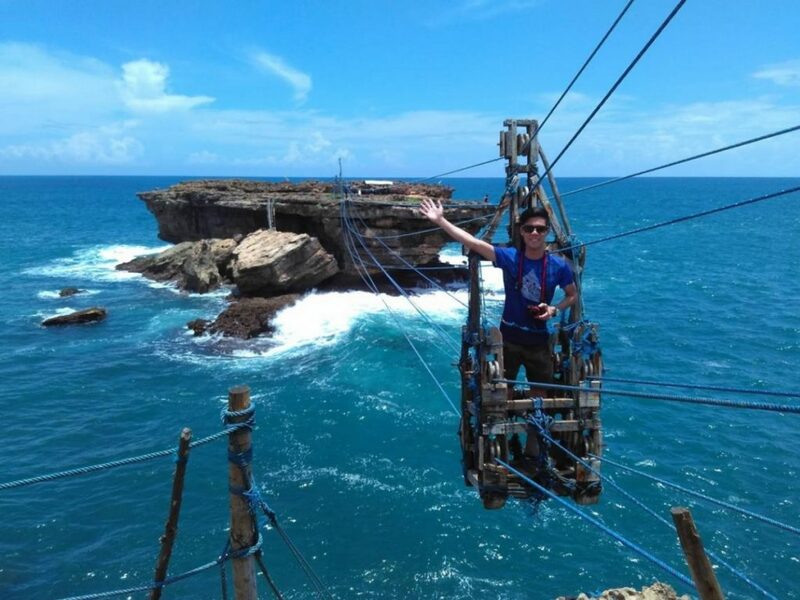 Timang Beach is one of the tourism destinations that has a unique gondola across the sea. This gondola was originally used by the lobster fishermen. Timang beach location is in Padukuhan Danggolo, Kelurahan Purwodadi, Kecamatan Tepus, Gunungkidul, Yogyakarta Special Region. This beach is consisting of two parts, the beach with the white sand and the rock cliff that directly facing to the sea. The beach is not the only attraction that attracts the travelers to come but also the trilling gondola! The gondola is located on top of the cliff. It links the cliff to the large stone located across the sea. Southern Yogyakarta Nature Park and Timang Beach Day Tour are your best choice if you want to challenge yourself! Feel the thrilling when you are crossing the sea with the gondola, but be careful not to drop your camera when you ride it. Borobudur temple is one of the tourism destinations in Yogyakarta and the world biggest Buddhist Temple. Borobudur temple location is in Magelang, Central Java. It was built in the 9th century during the reign of the Sailendra Dynasty. Borobudur temple is nearby Muntilan and you can access it with car or motorcycle. You can come to Borobudur Temple when the dawn comes, to enjoy the sunrise view on top of the temple and take photos here. 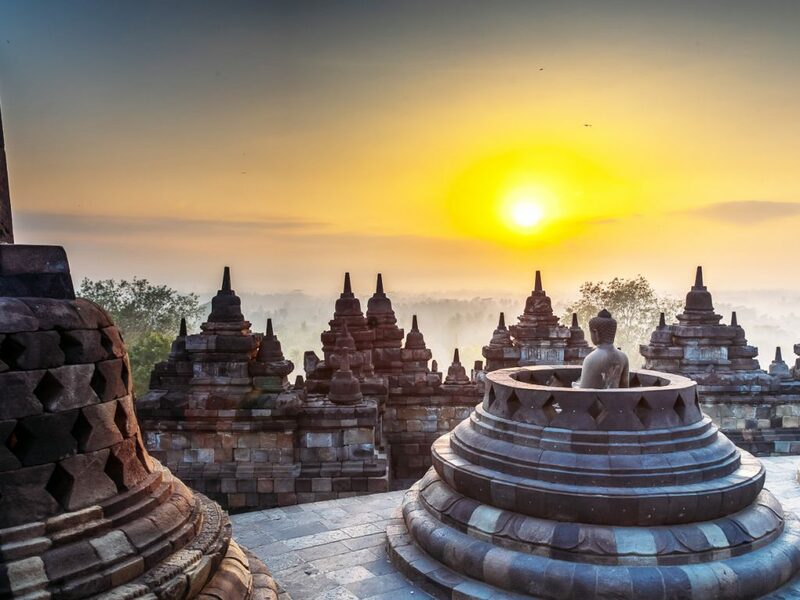 Private Yogyakarta Borobudur Temple Sunrise Trip is the best choice for you if you want to watch the sunrise with the perfect time. 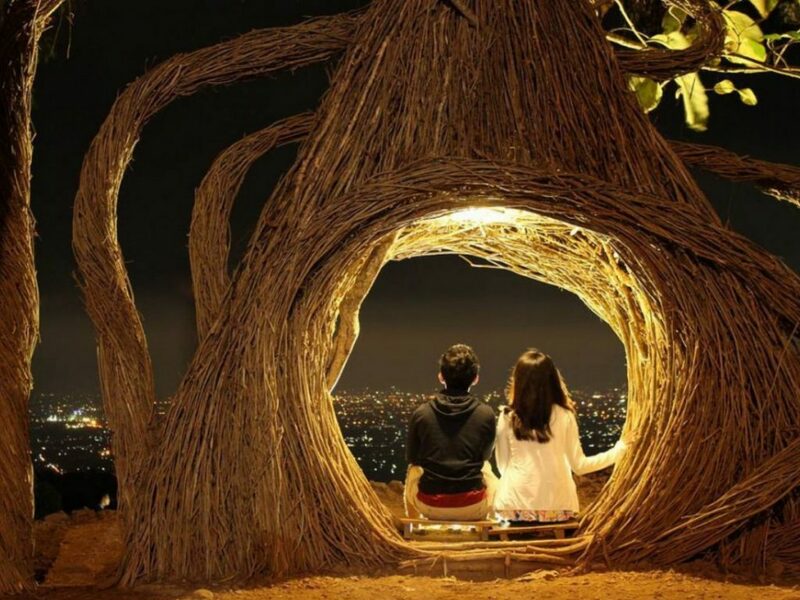 You can enjoy the trip, mesmerizing the scenery along with your friend at the top of the temple. Do not forget to take bunches of amazing photos here, and fill your Instagram with these photos! Jomblang cave is a unique cave created by the geological shift. This activity made a massive sinkhole. Jomblang cave location is in Pacarejo, Semanu, Gunung Kidul Regency, Special Region of Yogyakarta. Are you an extreme activity enthusiast? Then the Yogyakarta Jomblang Cave Adventure will be your cup of tea! Jomblang cave is a little bit difficult to access, you must ready to rappel down 60m the vertical cave with the dense forest below. After that, you can trace the tunnel inside the cave with the natural beautiful ornament in every side of the wall cave. After the walk in the tunnel, you will end up in the edge of Gua Grubug. In the edge of Gua Grubug you and your friend can see the light from heaven. 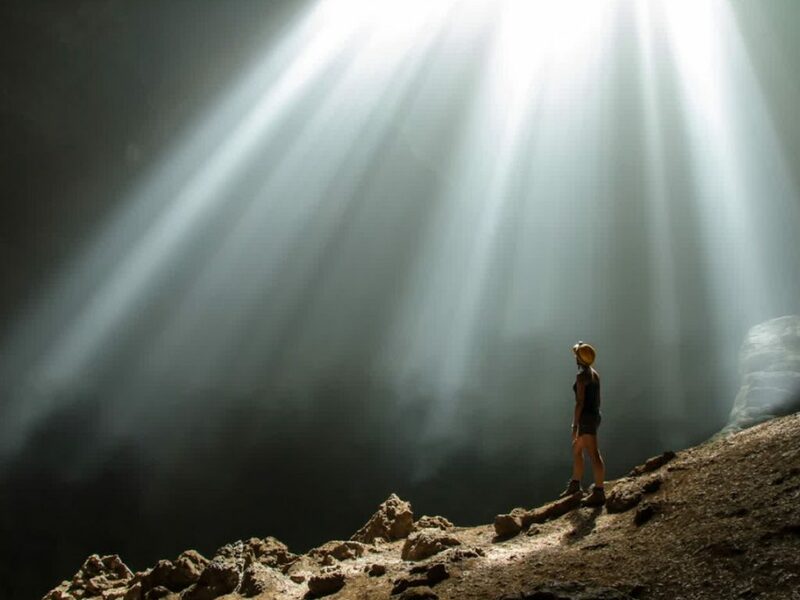 The best time You can enjoy the light of heaven in Jomblang Cave from 11 AM to 12 PM. After experiencing all tourism destinations, you can relax in the last destination, Pinus Pengger. Pinus Pengger location is in Terong, Dlingo, Bantul Regency, Special Region of Yogyakarta. The place is very relaxing, moreover, you can relish the beautiful scenery here. Pinus Pengger is not that famous among the tourist, yet you still able to get a great attraction here.